Enjoy the ancient ruins of this Unesco World Heritage Site – take an Aegean cruise with a side trip to the sacred island of Delos. 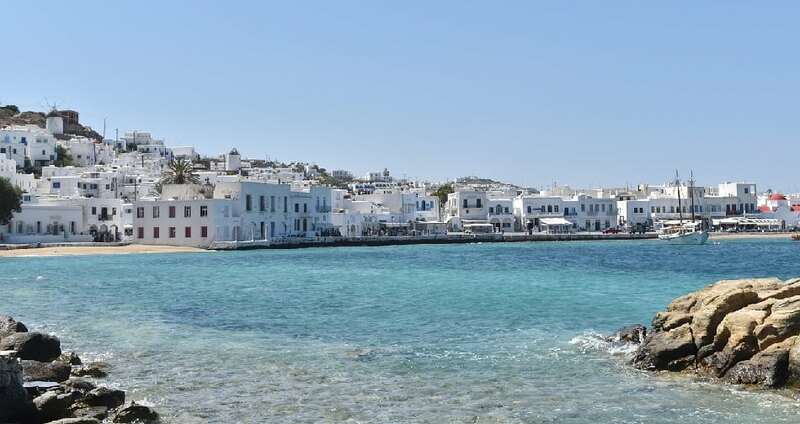 See the iconic windmills and the beautiful town of Hora and its twisting alleys, cafes, galleries, and whitewashed houses. Visit the lovely beaches and, come sundown, take a selfie of you and your companion with an amazing sunset in the background. Don’t leave without enjoying cocktails (and the views) at Little Venice Quarter.